In cities and beyond, around the world, the sight of people using electric mopeds is becoming increasingly common. It’s no longer something that quickly catches the eye. In fact, many would be hard pushed to actually be able to tell the difference (aside from sound) when faced with a petrol run moped and an electric moped. Companies such as ourselves here at E Rider have contributed hugely to the ‘electric revolution’ in that electric mopeds are now more accessible than ever. They’re priced no differently than petrol run bikes and can be delivered straight to your door for a small fee. They’re accessible, easy to use and cheap to run. The changing face of the electric market has mostly relied upon our own desire to help our planet with the reduction of fossil fuels. People are wanting to travel more than ever, whether it’s commuting or simply social but if it’s possible to do so without contributing to our already polluted air system, then all the better. The popularity of the electric scooter however, despite recently seeing a huge surge is about to see another, so much so that electric mopeds could easily be accused of changing the UK. While electric mopeds are indeed changing the face of infrastructure across the globe, the UK is a great place to focus our attention on. London is a leader and as our capital city starts, so too will others. Electric scooters have seen laws pass preventing people from riding them on the pavement. While not a huge shock, especially as electric mopeds now offer more power and the ability to reach speeds well over 30mph, it’s still a significant recognition of their ability and acknowledgement that they should most certainly be on the roads. 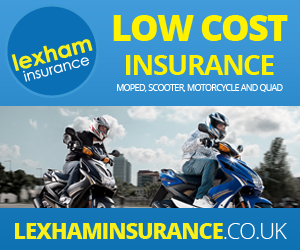 In fact, electric mopeds now need to be registered with the DVLA, licensed and insured. Users also need to obtain the appropriate license and wear a helmet. While some still show scepticism of electric vehicles, it cannot be denied that transport is changing and electric mopeds are most certainly one of the causes for such change. How do we know? Well, while electric scooters have been on the roads for quite some time now, relatively speaking, hydrogen buses, trains and now cars are just some of those following suit. Perhaps what’s helped the most are the falling prices of lithium batteries. What were once incredibly expensive, making electric vehicles using them too expensive for the emerging market have now become much more affordable. This in itself has made electric mopeds broadly affordable and as such, much more popular. The UK has certainly recognised their growing popularity, and that of other electric vehicles. It’s responded to the every growing popularity with the instalment of charging stations throughout cities from London to Manchester, Liverpool to Edinburgh. Large enclosed shopping centres have even begun to follow suit such as Lakeside in Thurrock, Essex and Bluewater in Kent. With the government expanding congestion zones and now even banning petrol and diesel cars from certain low emission roads in the city of London specifically; the popularity of electric vehicles will only grow even further. The UK is changing; FACT. Electric mopeds and other electric vehicles are taking precedence over petrol and diesel run vehicles that simply pollute our air. More charging stations are being installed and electric mopeds are becoming more and more affordable. The UK has shifted, that one thing is certain. Is it thanks entirely to electric mopeds? Maybe not. Have they contributed hugely toward a new, cleaner United Kingdom? Most definitely and this change in attitude only looks set to continue as people see the benefits of electric mopeds on not only our environment but our own wallets too. With less ‘parts’ to maintain thanks to the complete lack of a motor, as well as cheaper running costs, it’s clear to see the future of the UK is most certainly electric and here at E Rider, we can’t wait to see just how electric the future becomes. What we do know for sure however, is that two wheels are way better than four.